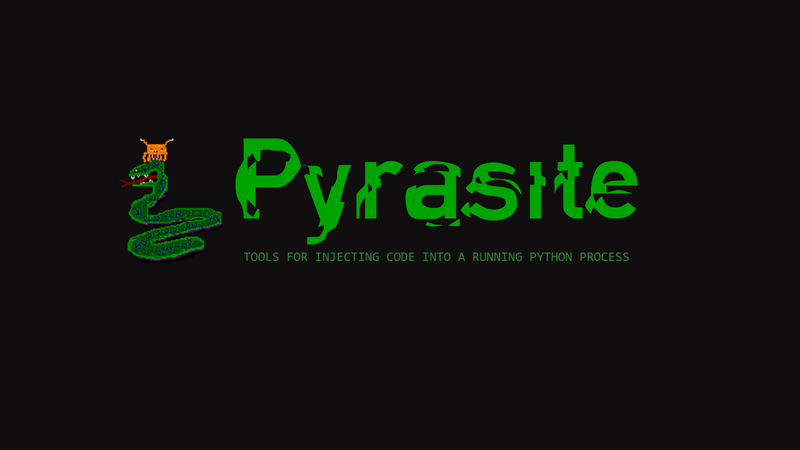 Pyrasite is a library and a set of tools for injecting arbitrary code into running Python processes. 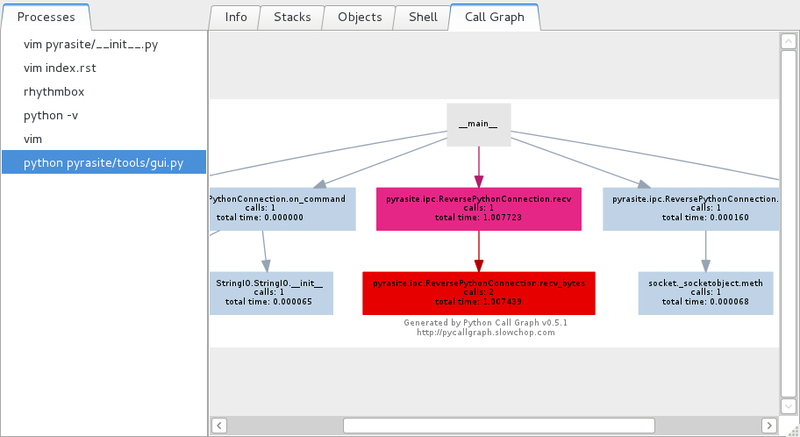 Pyrasite works with Python 2.4 and newer. 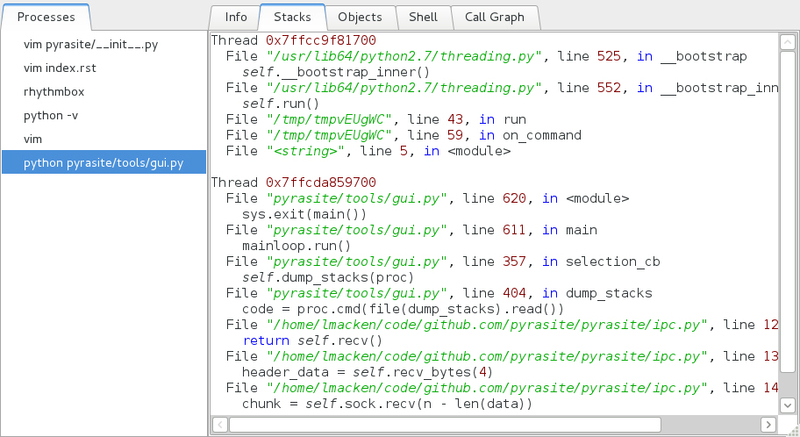 Injection works between versions as well, so you can run Pyrasite under Python 3 and inject into 2, and vice versa. 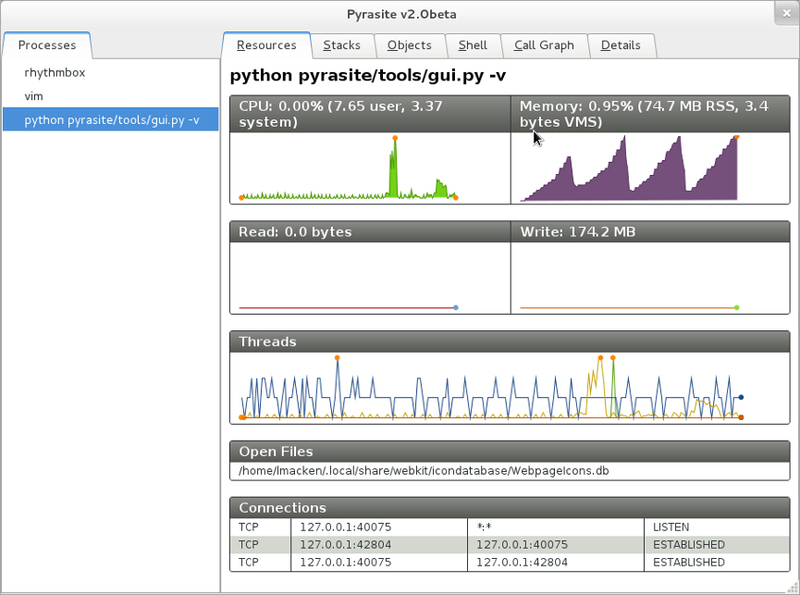 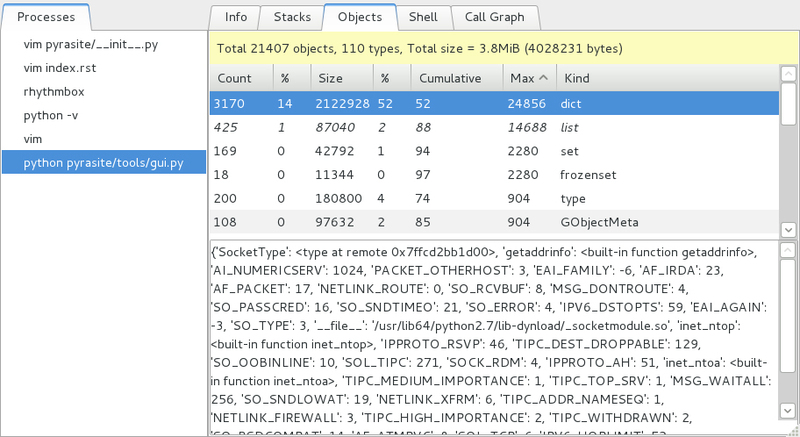 The Pyrasite-GUI is a graphical interface for Pyrasite that lets you easily monitor, analyze, introspect, and alter running Python programs.